Editor’s note: This article is the second part of a two-part series running in Skin Inc. magazine about discovering and exploring a segment of people interested in lifestyles of health and sustainability—the LOHAS market. In the first installment, which ran in the February 2008 issue of Skin Inc. magazine, an introductory overview of the LOHAS market was presented, and information on learning how to define your company’s LOHAS identity, developing your own sustainability statement, and lining up new features, products and services that are LOHAS-inspired was included. In this installment, dig a little deeper to craft LOHAS-related marketing, advertising and publicity strategies. Marketing is an umbrella that covers everything from market research and product development to client service and retention after the sale. It also incorporates meaningful communications based on your corporate identity and your goals and objectives. All printed materials, Web sites, media advertising, public relations and publicity should blend seamlessly in your marketing plan. The bottom line to marketing is acquiring good clients and then keeping them. All companies are faced with the challenge of broadening their markets because client bases are dynamic in nature and competition is always present. Your goal is to expand your client base while at the same time getting those clients to buy your products or services more often and more repeatedly. Expanding your marketing to include a strategy targeting the LOHAS market is a great opportunity to enhance the marketing tactics you already have in place, as well as to branch out and gather new clients who are in alignment with this values-driven market. When developing your market research strategy, a good place to start is in-house, with your existing customers. Determine what percentage of your customer base is open to—or even already living—a LOHAS lifestyle. With LOHAS consumers being passionate about the environment, energy conservation, sustainability, corporate social responsibility, organic foods and products, health and wellness, and a mind/body/spirit balance, they are clearly a distinct group. On a scale of 1 to 5, how would you rate the following as being important to you? Then ask your clients for suggestions on services and products they’d like to see in your spa. Most people are happy to provide input, especially knowing that you regard their opinions as valuable. Also, giving clients a green gift after they fill out the form is another great little incentive. If you manufacture products or sell services, direct your sales staff to query their accounts. What LOHAS values are important to them? What enhanced services can you provide to help them achieve their goals and objectives? How do your products fit into their LOHAS model? Tally up the results, and take all suggestions into consideration. What areas do you see that are the most important? How well does the information match up with your LOHAS corporate identity? And though forms can help you determine percentages, face to face conversations can more easily add that extra something—there is always more to the story. Clients are often one of the best sources of information, and just one tip can pay off big. With information directly from clients, it’s easier to determine needs and present solutions than it is to push a product or service into a cold market. In addition, you’ll have an edge because many companies do not employ this tactic. Do be prepared—depending on your business and location, some of your clients might not be as interested in LOHAS values. Keep in mind there are gradations in this market—some areas are more important to some people than others. However, wait it out. Chances are more people soon will be interested. The fact is, more and more cities, communities, organizations and companies are embracing the values of LOHAS. According to Linda Povey, vice president of strategic consulting with the Natural Marketing Institute, “greening” is spreading like wildfire, and everyone is getting on the bandwagon. But she expects a shakeout over the next few years as companies who are not truthful about their values will fall by the wayside. LOHAS consumers are not fickle. They are loyal, and they remember. Now, with your freshly conducted, in-house client research, you should have a good representation of the LOHAS consumers within your client base. Create a list and broadcast your new features. The list should be comprised of answers to the questions you asked and include information such as: the percentage of your clients who are interested in organic aromatherapy; the percentage who find it important to use fair trade organic teas; the percentage who want ongoing education in nutrition, and so on. Then start in-house promotions and weave these new features into your existing marketing and advertising. For example, add notes about your organic and fair trade options in your brochures, point-of-sale displays, gift cards, coupons and in any other advertising already in place. Next, check out what is going on in your community or city, and look into how you can contribute. Even if you are a destination or resort spa, this step is important to your overall sustainability statement. Becoming a visible part of this movement will help you and your efforts to become more well-known. Are you a member of your local chamber? If not, joining is likely a wise move. Are there LOHAS values-oriented seminars and events taking place in your area where you can tap into the existing LOHAS market? Consider contacting the producers of these events, and buy lists of names of attendees as well as exhibitors. Join like-minded organizations, determine what companies match your spa’s values and decide who you’d like to partner with in this effort. Moving into the next phase of your LOHAS marketing plan, develop a communications campaign that is ongoing. Building relationships with clients through meaningful communications is a key to good business, and, when reaching out with your LOHAS message, direct mail is one good way to go. 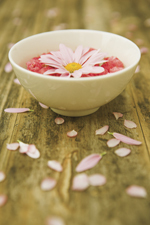 “Spa products and services are experiential in nature,” Povey explains. “LOHAS consumers generally like to take the time to sit down, read and learn at their leisure.” Consider purchasing a customized market survey report to learn about your local market and LOHAS. This report will provide information that will be useful when you purchase a list and develop a direct mail campaign. Organizations such as the Natural Marketing Institute (NMI) can be contacted to inquire about marketing services from professional spa organizations, such as the International SPA Association, and research list companies from resources such as www.targetmarketingmag.com. A list company can customize a list per your specifications—location, gender, income and more. To further develop your meaningful communication with potential and existing LOHAS-oriented clients, use the following guidelines. Tell your LOHAS story. 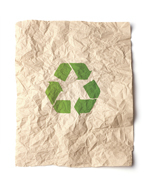 If, for example, you’ve committed to using recycled paper and soy-based ink, say so in your sustainability statement, as well as on all your printed materials. For other initiatives, use other signage around your spa. Make a difference. Come from your heart, and be genuine. Also, be sure to include all the points you want to make about your LOHAS vision. Educate your clients and be of service. Invite them to join you on this quest for a better world. Differentiate yourself. Create your own educational events, bringing in local experts for presentations. Provide clients with unique opportunities to learn how to live a more complete, wholesome and balanced life. Become an access point for like-minded individuals. Invite people to share their ideas with each other, as well as with you. Invite the press to experience your new services and products, and send press releases and announcements to all media on an ongoing basis. The idea is to keep you out there in the forefront, broadcasting every new addition to your stable of services, treatments, products and offerings surrounding your commitment to the values of LOHAS. You can even customize your messages depending on your setup and client responses. Pace your releases so you always have something new to talk about or announce. Although you are targeting LOHAS consumers, you are also reaching subsets of this market and influencing mainstream consumers. LOHAS communications are educational in nature, so position your company as being a leader in providing information and education. This can be achieved by providing clients with handouts and brochures that are educational in nature, such as how to create a green bath at home; designing a continuing educational series on topics such as healthy aging; or offering special courses in local schools, such as eating for healthier skin. Also, focus in on distinct subsets. Utilize the teen market, reaching out to teens in schools, perhaps by setting up seminars where teens can attend with their parents. Create enhanced services for men that include a mind/body/spirit experience, such as incorporating a deep-breathing session with organic aromatherapy during a manicure. In this way, you can weave these LOHAS service ideas into to your mainstream clients as well. Regarding LOHAS spa trends, Povey remarks, “Consumers really want a total mind/body/spirit package. They want to continue the practice at home, after the spa experience. Spas are picking up on trends and leveraging their local resources. For example, a spa in Napa, California, includes regional food, wine, and herb-based and indigenous treatments unique to the Napa area. Also, ‘sustainable spa’ is in.” A sustainable spa can be defined as a spa that practices sustainability wherever possible—recycling and reducing waste; using sustainably harvested and produced products, such as paper towels and bamboo sheets; utilizing green design, such as recycled interior design materials; participating in energy efficiency with the use of light bulbs and carbon credits; printing on recycled paper with soy-based inks; and sponsoring like-minded community educational events. NMI reports that eco-tourism—tourism involving travel to areas of natural or ecological interest—is the No. 1 growing category of LOHAS, and you should be tapping into this opportunity. Make sure you include your LOHAS values information in every package your chamber, visitors and convention bureau or department of tourism sends out. Exchange Web site links with like-minded businesses and destination areas. You can search online, peruse the telephone directory, and make a list of prospects, such as wedding planners, to create ideas with, such as being involved in green weddings. Develop relationships with travel companies who promote educational travel programs to your area. Travel companies sometimes coordinate bookings at hotels for incoming groups, so by networking and creating relationships with agencies, they can connect you with companies that plan and operate group events. Then provide services that could be an enhancement to existing travel programs, and offer them as an extension for groups’ activities. For example, create a stress reduction package and offer it to a group of executives who are attending a meeting. Attract a group of women on a shopping trip with a foot massage and reflexology session, or develop a special skin care treatment using locally grown ingredients for an international touring group. From this kind of exposure, you can likely expect more business and increased visibility within the local business community because professionals network and talk. Stay on top of the LOHAS movement by researching Web sites, subscribing to magazines and newsletters, and attending seminars. It is important for you to be on the cutting edge, so pay attention to the companies and people in your community. Find out what they are doing that is new, and figure out a way to tie in with them. For example, when reading the business section in the newspaper, you notice a carpet-cleaning company announcing they are going green with non-toxic cleaners. Hire them to clean your carpet and work out a campaign where they promote you to their customers, and you promote them to yours, incorporating the green message. Be creative. And if all this seems overwhelming, consider hiring professionals to develop your marketing strategies and campaigns. Always remember, this is a wonderful business you are in. You have the power to help change the world one client at a time, and by embracing and promoting LOHAS values, you are already contributing to a better world for everyone.